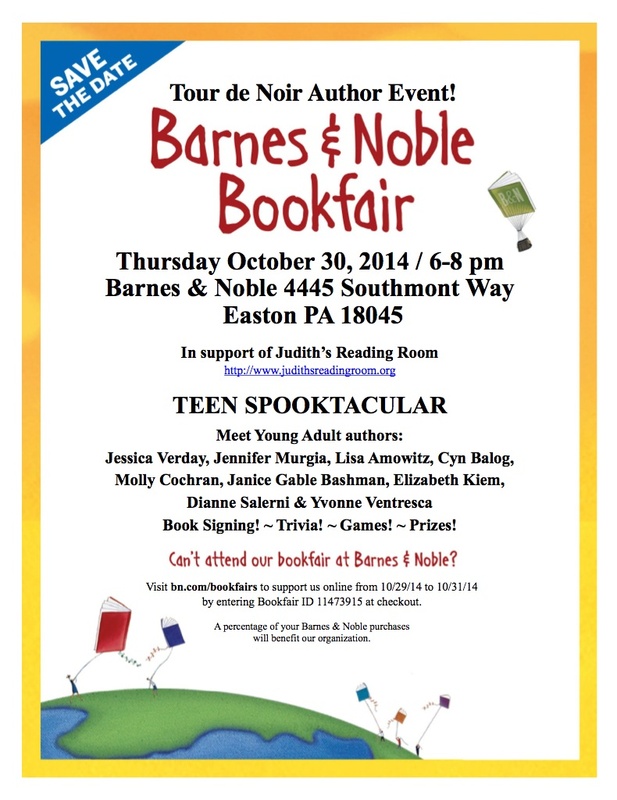 Oct. 30th – Tour de Noir Author Event! Tour de Noir Author Event! Book Signing! ~ Trivia! ~ Games! ~ Prizes! In support of Judith’s Reading Room. A percentage of your Barnes & Noble purchases will benefit Judith’s Reading Room (ID 11473915). Tagged Book Signing, Bookfair, Young Adults Books. « Oct. 30th – Special Event at Talbots!